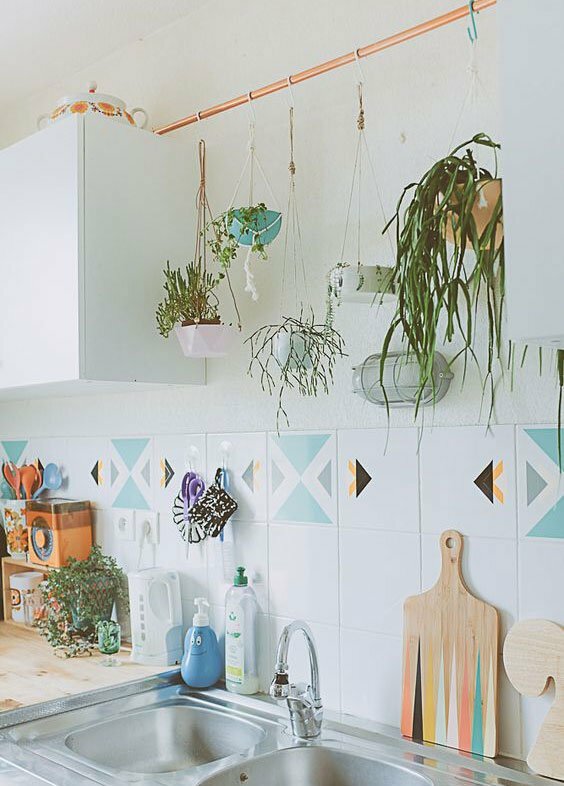 Bringing plants into your home does not only serve the purpose of air purification, but it is an effective decoration that helps keep your living space fresh, lively and colorful. 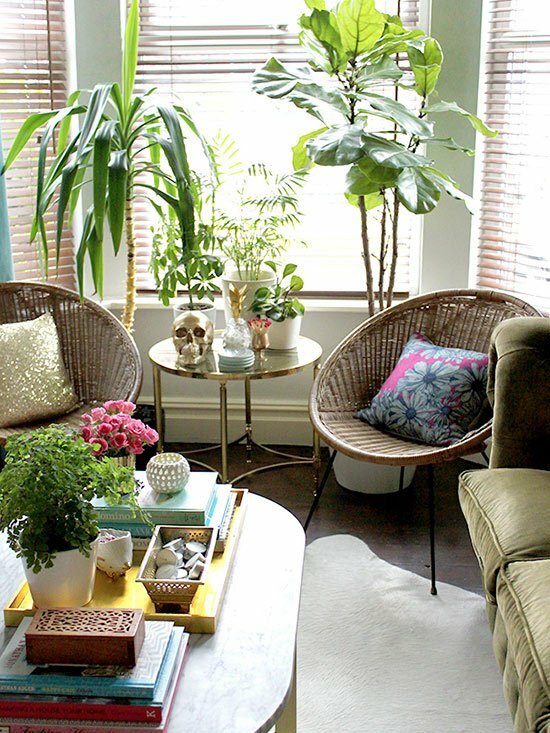 For those homeowners who love to keep up with the latest interior trends, houseplants should be dispensable items, given that greenery has recently named Color of the Year 2017 by the US-based Pantone Color Institute. Wall or freestanding shelves are always the most efficient decoration, since it is where people would lay their eyes first when entering a room, helping set the mood for the whole space. Therefore, you should not pass the shelves, and instead, spice them up by placing houseplants besides usual ornaments such as books, clocks and figurines. Otherwise, you can dedicate the whole shelves to greenery, and play around with a variety of plants with different sizes and pots. The best option is plants of small or medium sizes such as cacti, snake plants and aloes so your display does not overshadow the space. 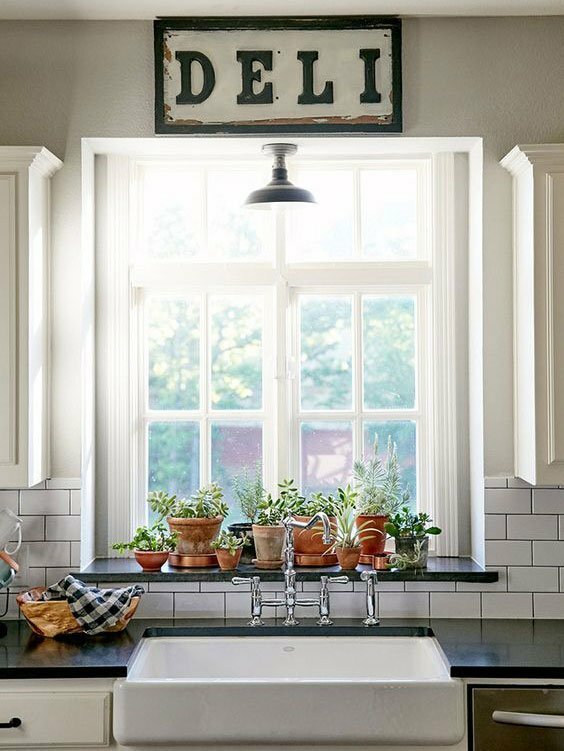 In the kitchen, you can go for herbs, including basil, parsley and coriander. These shelves can be either placed near a window to make use of natural light or at a room corner to fill up a blank space. 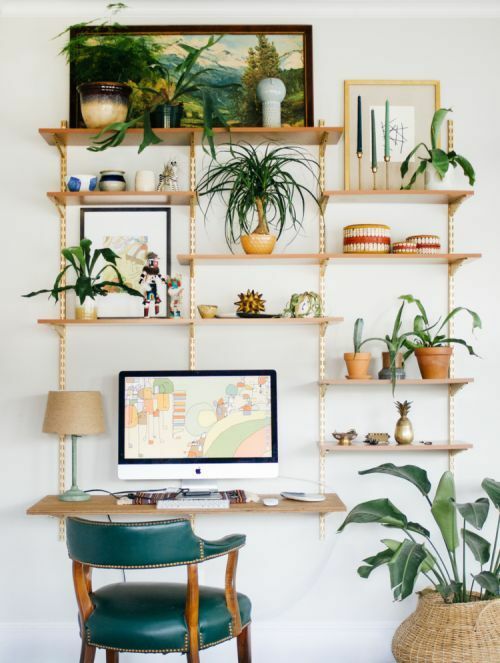 If you are clever with tools like hammers and screwdriver, you may want to establish a hanging garden at home with droopy plants such as golden pothos, spider plants and Boston ferns. 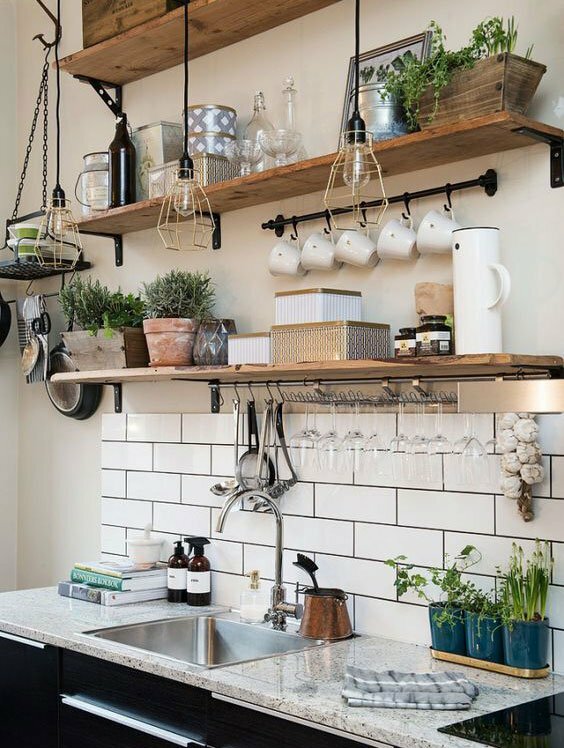 All you need is hooks, rings, ropes or rods and then you can set up your garden at almost everywhere, from the ceiling, wall, window to somewhere between two high cabinets. However, there are several things to remember to make sure that your garden will stay last and green. Bases and frames for hanging must be able to put up with long uses. The garden must not be too high so it does not cause troubles in watering. But it must not be too low so it compromises the whole picture and obstructs people’s movements. Measures must be taken to prevent water leakage from the garden like plates under the pots’ bottoms. Using greenery as a background for main furniture items in a room such as big plants (bamboo, palm trees…) next to a sofa. Or, you can place one or several small plants on your bed’s side table or your dining table in the kitchen. 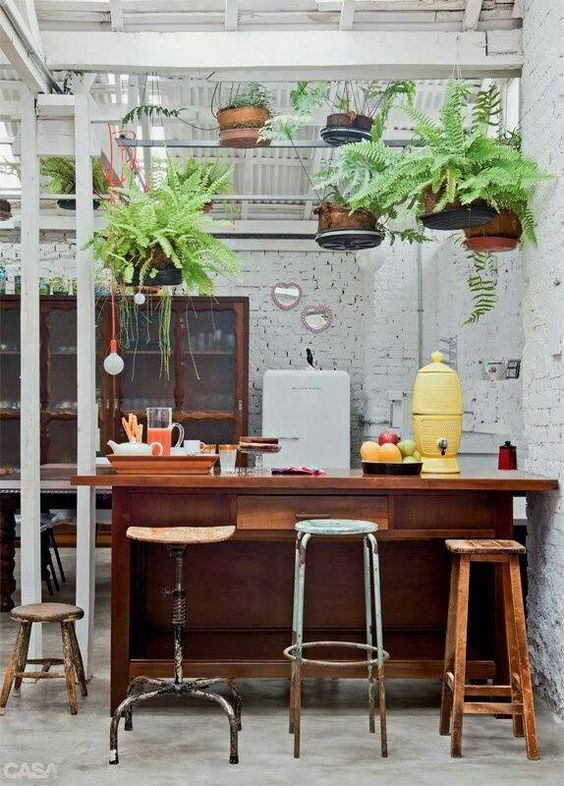 Arranging a cluster of different houseplants with colorful pots at corners where shelves cannot fit. Adorning windowsills, wall ledges or staircases with greenery. May you successfully establish a green space right at home with the tips!